Diabetes has different signs. Type 1 and type 2 diabetes usually have similar signs. Gestational diabetes usually shows no sign at all. Knowing the signs of diabetes is extremely important since it can help people know if they have it at an early stage in order to undertake treatment before the disease gives complications to the body. Doctors recommend people who are 45 years old and above to go to the doctor regularly in order to know if they have the disease. Moreover, people who notice the signs of diabetes on their body should immediately consult the doctor in order to get immediate treatment. The tests to determine if you have diabetes are not expensive at all. In fact, the earlier you do the test if you have the disease, the more cash you will be able to save. 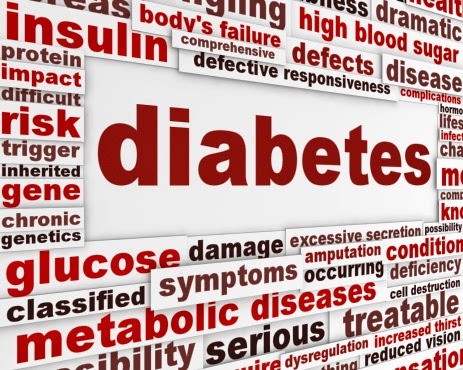 Diabetes mellitus is a disease that has been known for over hundreds of years. People with diabetes cannot produce insulin or has the ability to produce insulin but cannot utilize it. Insulin is the hormone responsible for the maintenance of blood sugar level. Without insulin, the cells all over the body will be unable to receive sugars to be converted into energy. Thus, the ells starve for energy. Without sugar, cells will eventually die. Diabetes mellitus has three kinds namely type 1 diabetes, type 2 diabetes, and type 3 diabetes. Type 1 diabetes is also known as insulin dependent diabetes wherein a person cannot produce insulin due to an autoimmune disorder. Type 2 diabetes is also known as non-insulin dependent diabetes wherein a person is able to produce insulin but cannot utilize it properly. Type 3 diabetes also known as gestational diabetes is diabetes that occurs during pregnancy which may put the baby at risk. All three types of diabetes are irreversible. However, people can do their best to reverse diebetes type 2 in order to prolong their lives and to avoid complications. The signs of diabetes for both type 1 and type 2 are very similar. For instance, affected people of either type 1 or type 2 diabetes frequently get extreme thirsty. As a result of drinking water more frequently, they urinate more than usual. Moreover, their urination frequently occurs at night. People may also experience lethargy, stupor, fatigue, and loss of energy. In some cases, a diabetic coma may occur. It is a condition wherein a build-up of ketones occurs in the blood. Neurological signs may also be experienced by affected people including numbness, tingling, increased appetite, weight loss, and blurry vision. Sweet and fruity breath is also a sign of type 1 or type 2 diabetes. Similarly, when the urine becomes sweet due to sugars, like when ants go into your urine, then it is a sign that you have diabetes. People affected with diabetes will also find their wounds slow to heal. Some women experience diabetes during pregnancy. This is called gestational diabetes. In order todiagnose their disease, a glucose test should be administered. A blood test can also be used to determine if a person has diabetes. The doctor will determine the amount of sugar in your blood and will use the results as an indicator if you have diabetes or not.